The Walk to End Epilepsy has grown in size, scope and significance - thanks to dedicated people like you. The Walk is the predominate event where the epilepsy community comes together to show the world the importance of raising much needed funds and awareness about epilepsy. 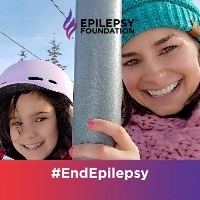 The money raised from The Walk to End Epilepsy helps the Foundation provide services for people living with epilepsy, provide awareness programs for proper seizure recognition and first aid, provide a voice to make sure health care options for people living with seizures remain strong, and provide much needed research funding toward better treatment options and ultimately cures.